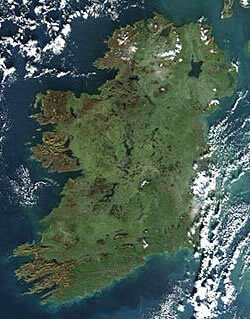 “If you had the luck of the Irish, you’d wish you were English instead” sang John Lennon – a second generation Irishman. When it comes to the public health of the Irish in Britain, he was right. It is well-established that Irish people have poorer health than the White British population as a whole, including lower life expectancy and a host of limiting long-term illnesses; including the highest cancer rates of any ethnic minority group. The scale and persistence of these problems is the impetus for relaunching the All-Party Parliamentary Group on the Irish in Britain in the House of Commons tonight. The group, set to be chaired by Labour MP Chris Ruane, will provide a platform to discuss these and other issues affecting the community in Britain. The legacy of The Troubles in Northern Ireland and more overt racism in times past has meant that it has not always been easy to be Irish in Britain. This has been coupled with an Irish culture of “getting on with it”, resulting in the community’s health problems disappearing off the public health radar. But as Britain’s largest ethnic minority – with at least 2.5 million first and second generation members – this is completely unacceptable. Indeed, the situation demands attention when you consider that some of the health inequalities faced by the Irish in Britain are down to genetic factors. Ireland has the highest rate of celiac disease in the world, with 1 in 100 Irish people carrying the defective gene which causes intolerance to gluton, found in wheat, barley and rye. The symptoms range from irritable bowel syndrome through to a slightly higher risk of certain cancers. Meanwhile, one in five Irish people also carry the gene for haemochromatosis. This is a condition caused by excessive iron in the blood and can lead to organ failure. Apocryphal stories abound of cases where (teetotal) Irish people with undiagnosed haemochromatosis report with cirrhosis of the liver, only to face anti-Irish stereotyping from doctors who assume it is down to excessive drinking. Studies have also shown the health problems of the Irish carry forward to the second generation too. This particularly applies in mental health. Irish people have “much higher hospital admission rates for mental health problems compared with other ethnic groups” according to the Mental Health Foundation. The legacy of the Troubles and the shadow of deeply ingrained anti-Irish racism have played their part. Dreadful as this picture is, it pales against the experience of Irish Travellers – a separate ethnic category altogether. Here, health inequalities are positively medieval. A report from the Diocese of Dublin three years ago found that a staggering 80 per cent of Irish Travellers die before they reach 65, with a third dying before 25 – levels on a par with the worst parts of Africa. As if this was not enough to contend with, Irish Travellers in Britain (estimated to be up to 300,000 of them) are often met with casual racism and social exclusion. Many have no regular access to basic public services, compounding their existing health problems. So these are not matters of identity politics, but real and pressing issues of improving public health. The new all-party group needs to ensure that the debate about improving health inequalities starts with the needs of ethnic groups who often suffer the worst health problems. Making interventions early and running campaigns that engage ethnic groups like the Irish helps avoid paying for acute treatment down the line. In our era of the “Big Society” the government and parliament need to work with communities like the Irish who are desperately trying to change the status quo. In order to draw attention to these persistent problems, the Federation of Irish Societies, the umbrella organisation representing Irish communities in the UK, will be launching a major campaign in the new year to encourage people with Irish roots stretching back two, three or four generations to tick ‘Irish’ in the ethnic identity box in next year’s census. By maximising the numbers, the Federation hopes to focus much more attention on the needs of the Irish community, particularly around public health; recognising that the Irish are a White ethnic minority whose very real needs have been ignored for too long. Could we replace the word “Irish” with “English” in the above sentence? We don’t even get a tick box on the census.